Thinking florals are just for summer and spring? Think again! 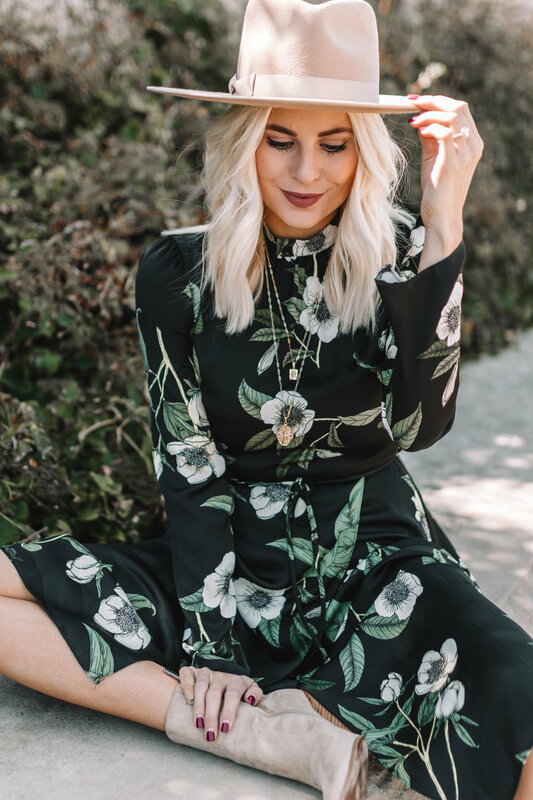 Florals are a huge trend for fall this year and I’m loving it! I found this gorgeous dress at River Island and I thought it was perfect for fall (or even a fall wedding). 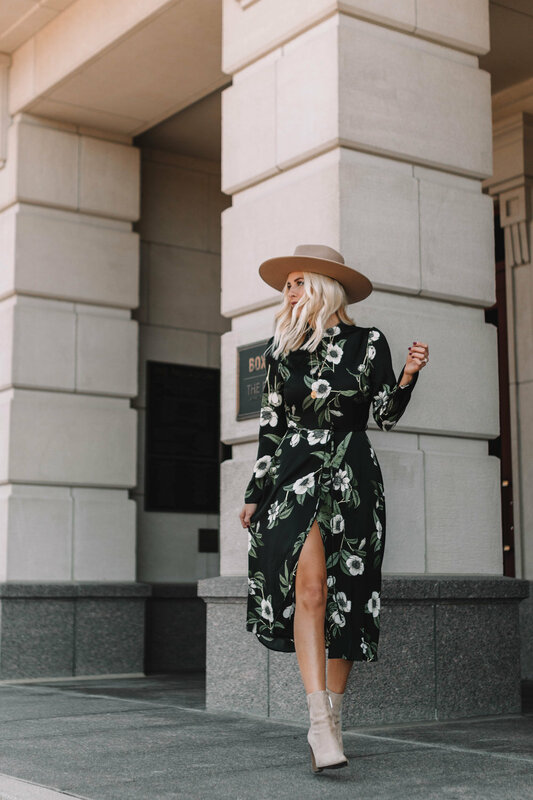 The long sleeves and midi length make it feel less summerly and more fall-appropriate. 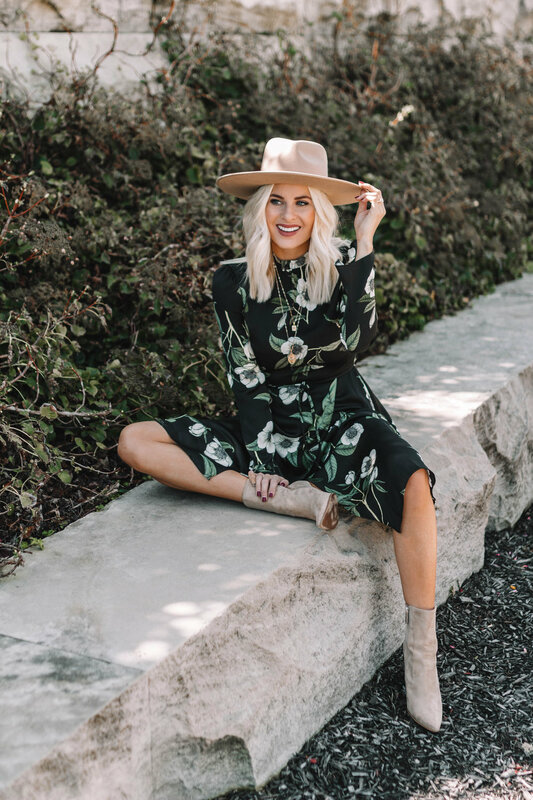 I decided to style this dress with a western twist by adding a wide brim hat and suede boots. I thought it would also look cute with these white boots that I have from RI. I linked the pieces below! Dress runs true to size! I’m wearing a size US 4!